Are you tired of superfood lists that offer impractical solutions for your daily life? Below is a list of 5 common superfoods that can easily be worked in to your daily munching, whether as a healthy snack, or a side dish. 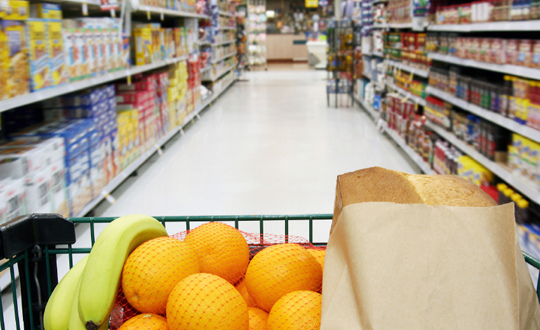 From brain boosting to heart protecting, here are the foods you need to add to your grocery cart, and how to make them a part of your life. There’s a reason why sweet potatoes are ranked number one in nutrition out of all vegetables by the Center for Science in the Public Interest. Not only are they absolutely delicious and delightfully sweet (as advertised), they are rich in fiber and protein, high in antioxidants, and packed with vitamins and minerals like potassium (a stress-reliever), iron (especially important for women), calcium (healthy bones), Vitamin A (skin superfood), folate and vitamin C. If you were stranded on a desert island and could live off of one food alone, this would be top choice. 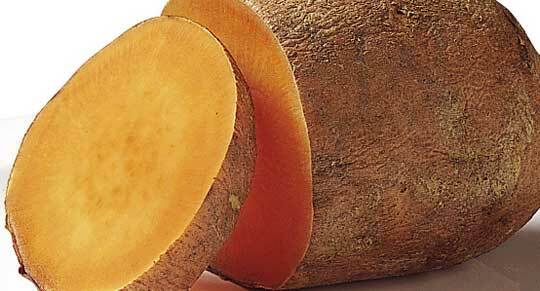 Sweet potatoes (not to be mistaken for yams) can be found at any Asian grocery store. If you’re skeptical about how to easily incorporate this into your diet, it’s one of the easiest staples to prepare to satisfy that afternoon sweet tooth. How To: Set oven to broil. Place sweet potatoes on a pan and place in the oven for 20-25 minutes (depending on how soft you want them). Turn off the oven, and allow them to sit for another 12-15 minutes. Remove them from the oven and they are ready to eat! Calories: One average sweet potato 5” by 2.5” has about 120 calories. You’ve heard right: eating your apple a day can certainly keep the doctors away, and much, much more. Regular apple consumption has been associated with lower cancer rates, better heart health, and enhanced immune function. The magical health benefits shown by this staple food are attributable to its high polyphenol content. Also found in red wine and green tea, the difference behind the apple’s polyphenols is that they are water soluble, and therefore easier for our bodies to absorb. A study conducted at the Food and Nutritional Sciences Program at the Chinese University of Hong Kong discovered that the antioxidant substances in apples extended the average lifespan of test animals by 10 percent. Other studies have also discovered similar life-extending properties of apples. Pectin, the fiber found in apples has also shown many health benefits like lowering cholesterol levels, stabilizing blood sugar, preventing gallstones, and ridding the body of various toxins like aluminum. And finally, for those looking to trim their middle, in a Brazilian weight loss study, women who ate three apples a day lost significantly more weight while dieting than those who didn’t. Thank the filling fiber! How To: Simple. Bite and chew! If you want to change things up, dice an apple and sprinkle some pecans into your greens for a delicious summer salad. 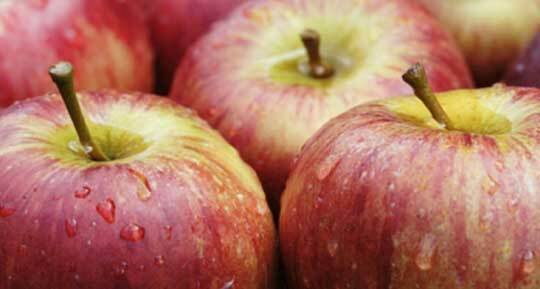 To reap the maximum benefits of the polyphenols, make sure to consume the apple skin. Calories: One medium green apple has about 70 calories.